Adult Swim’s slow evolution to include more live-action programming has had mixed results so far.There is no doubt that even though their misses have clogged up the schedule in recent years their hits are genuinely bona fide hits. 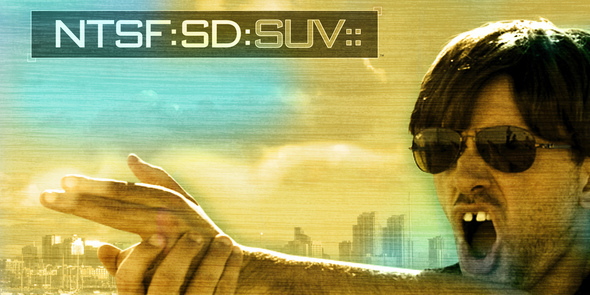 NTSF:SD:SUV:: (National Terrorism Strike Force: San Diego: Sport Utility Vehicle::) is one of the hits, a parody of CSI:, Law and Order: SVU and many other police dramas with multi-acronymed subtitles. The show lampoons the often clichéd and eccentric police work portrayed in those shows with glee, offering biting commentary of the mounting silliness some of those shows have shown over the years. Tonight’s special episode, “Inertia”, is based off of a series of NTSF:SD:SUV:: webisodes that premiered online last fall. A parody of Speed, the episode concerns the maiden voyage of a new line of MTA buses, of which NTSF agent Trent Hauser (Paul Scheer) is one of the passengers. A terrorist demanding 10 million dollars states that the bus must not go above 0 miles per hour, and that no passengers are allowed to get off lest they be killed. While he is stuck on the bus his team, including June Diane Raphael as Agent Piper and Brandon Johnson as Agent Alphonse, must try and figure out just who is the crazed terrorist behind all the madness. The show moves at breakneck speed, having to condense what most shows would take 22 minutes to cover in about half the time. Jokes have to develop incredibly quickly, any slower and the show would linger too long and waste precious moments of screentime. NTSF is incredibly economical in that sense, finding a nice balance of hilarity and plot development in order to keep the episode moving toward its rapid conclusion. The episode went by so fast I barely had time to keep everything straight. 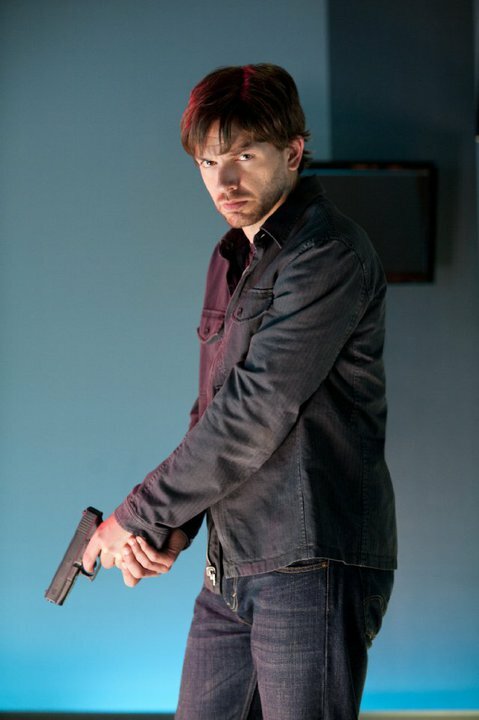 While the show could certainly tell a more fleshed out story if given 22 minutes, I feel like the fast paced style of NTSF would be neutered with such a timeframe. The editing and comedic timing hit every beat perfectly in the 11 minute span, and adding on twice as much time would lead to an overreliance on certain jokes and get tiring fast. 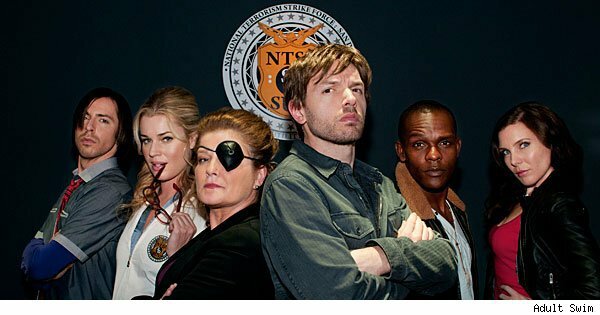 The comedy style of NTSF:SD:SUV:: reminds me a lot of one of my all-time favorite Adult Swim shows, Harvey Birdman. Both shows had a quick joke delivery aided by the fact they had to tell a whole story, while also heaping on tons of comedy, in the space of 11 minutes. Both found a way to work every second of those minutes in their favor, leaving no moment without a laugh. I don’t know how long NTSF:SD:SUV:: can keep up this sort of pace before falling flat on its face, but if tonight’s special was any indication of the future that won’t be happening for a good long while.